It’s a Russian doll of a tropical disease. Leishmaniasis, a disease that infects 12 million people worldwide, is passed to humans by sandflies infected with the Leishmania parasite. Now it seems that in some species of the parasite, a virus hiding inside is silently helping it subvert treatment. Leishmaniasis is a common problem in Latin America, South Asia and parts of Africa. Depending on the form the disease takes and the species of parasite, it either attacks the skin, mucous linings of the nose and mouth, or the internal organs. It’s not easy to treat. “Treatment failure is a major challenge for doctors and researchers, says Jean-Claude Dujardin from the Institute of Tropical Medicine in Antwerp, Belgium. Depending on the drug and the region, treatment failure rates vary, says Dujardin. In Latin America, for example, two out of five people relapse after treatment, but this can rise to 70 per cent in parts of South Asia where another species of Leishmania circulates. The most obvious explanation is that the parasite has become resistant or that people aren’t taking the drugs properly. But in Latin America at least, it looks like there’s an alternative explanation. A virus that infects the parasite is known to make the disease more severe in mice. It now seems the same applies in people. “The parasite is already infected by the virus and it is this package that gets transferred to the sandfly,” says Dujardin, part of an international collaboration that hunted down the virus in people infected with the L. braziliensisparasite in the Amazon basin of Bolivia and Peru. Of the people whose parasites were infected with the virus, 53 per cent of them had relapsed after drug treatment. Only 24 per cent of the people whose parasites were virus-free did so. Similar results were seen in people infected with L. guyanensis, another parasite species common in the area. There was no link between treatment success and the parasite’s resistance to the drugs the patient was given. “You need to imagine the system like a Russian doll,” says Dujardin. The parasite multiplies within the human host cell, and then the virus lurking within it wakes up and begins interacting with the host cell, he says. “Leishmania alone, without the virus, is already known to subvert the immune response; it seems that the virus adds another layer of subversion, leading to treatment failure,” says Dujardin. In some ways it’s not surprising that a virus can infect a parasite. It’s often said that parasitism is the most common way of life – with more than half of all animal species on the planet living off another in some way. However, Jorge Alvar at the Drugs for Neglected Diseases Initiative in Switzerland, cautions that we still don’t how the virus affects the evolution of the parasite, or how it ultimately impacts the patient. But, in theory, the virus gives us an added drug target, he says. “In this case a patient could be treated with either anti-Leishmania drugs or anti-virals, or both. Similar viruses have been found in other parasites, for example, in the diarrhoea-causing Giardia andCryptosporidium, and in Trichomonas vaginalis that causes a sexually transmitted infection. 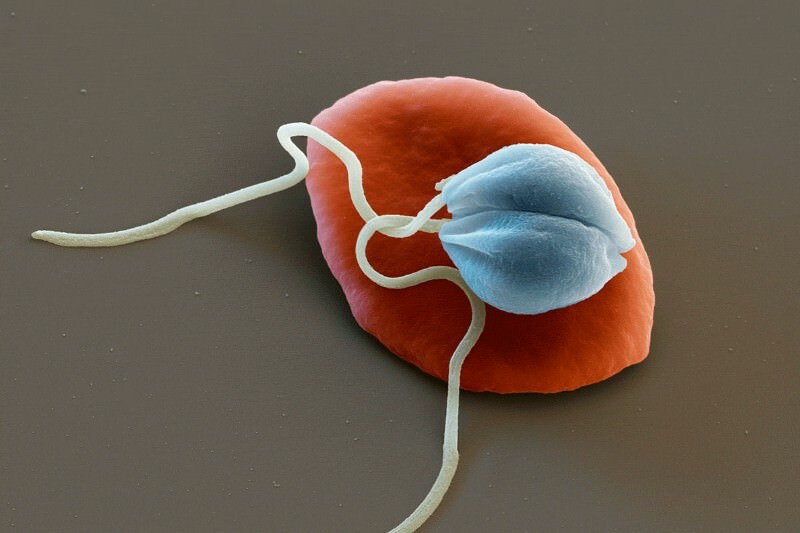 Surveys of their prevalence could help us better understand the effect of viral infection of parasites and could play a role in how we treat these parasitic diseases, says Dujardin.